Let the great outdoors take your breath away--not your truck. 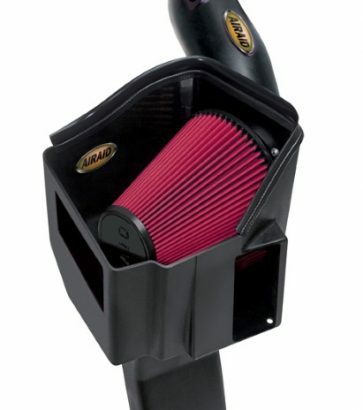 AIRAID intake kits dramatically increase air flow, horsepower, torque, and overall performance. Sure, your original, factory air filter may work just fine, but why settle for ‘just fine’ when one of our performance air filters can do so much more for your ride? With a new, aftermarket air filter, you’re saving money in two departments: gas and parts replacements. A cleaner and higher-grade air filter increases your fuel mileage so you won’t need as many regular trips to the gas station. You’ll also notice your vehicle gives you more horsepower. Upgrading your air filter will save you money in the long run because you won’t need to replace your original filter as frequently–most of our filters are washable. Looking for that ‘deep growl’ that caught your attention a while back? Certain air filters can help you achieve an aggressive sound. Pop into your local Cap-it for a quick install, and roll out after having breathed new life into your most prized possession.